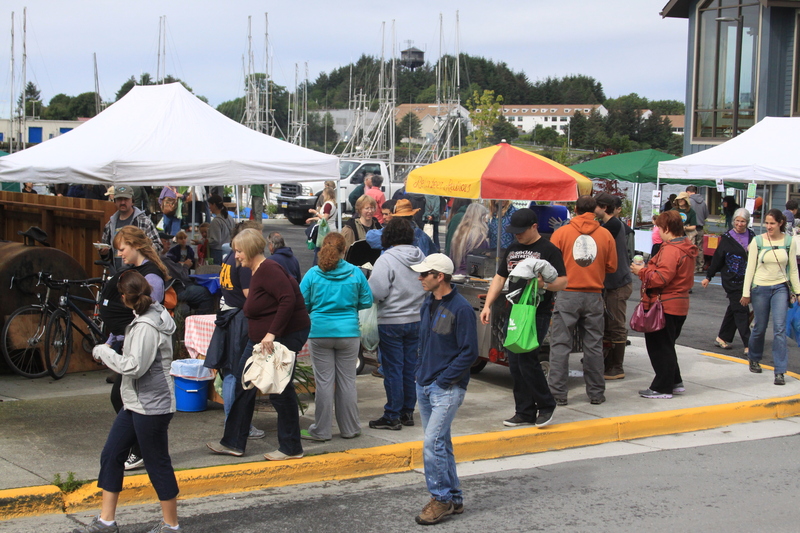 The Sitka Local Foods Network will host its third summer of Sitka Farmers Markets with five markets that start on July 17 and take place on alternate Saturdays through Sept. 11. 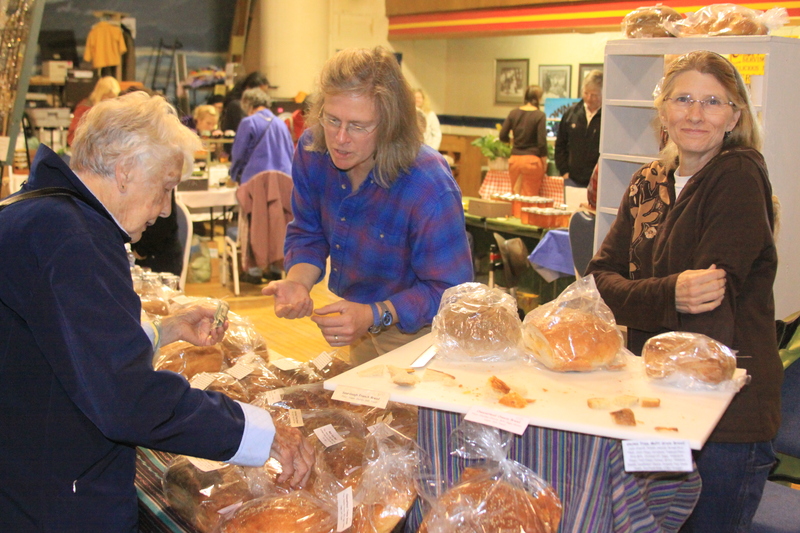 The Sitka Farmers Markets give Sitka residents a chance to buy and sell locally produced food and crafts. The Sitka Farmers Markets take place from 10 a.m. to 2 p.m. on July 17, 31, Aug. 14, 28 and Sept. 11, at the Alaska Native Brotherhood Hall (235 Katlian St.). The markets feature local seafood (fresh, frozen, and cooked, ready to eat), locally grown and harvested fruits and vegetables, baked bread, locally picked berries, jams and jellies, cooking demonstrations, live entertainment, locally brewed and roasted coffee, music, local arts and crafts, and a variety of other items gathered or made in Sitka. We emphasize local products and lots of fun. You also can vote for the Sitka Farmers Market in the America’s Favorite Farmers Markets contest by following the links at http://www.sitkalocalfoodsnetwork.org/. 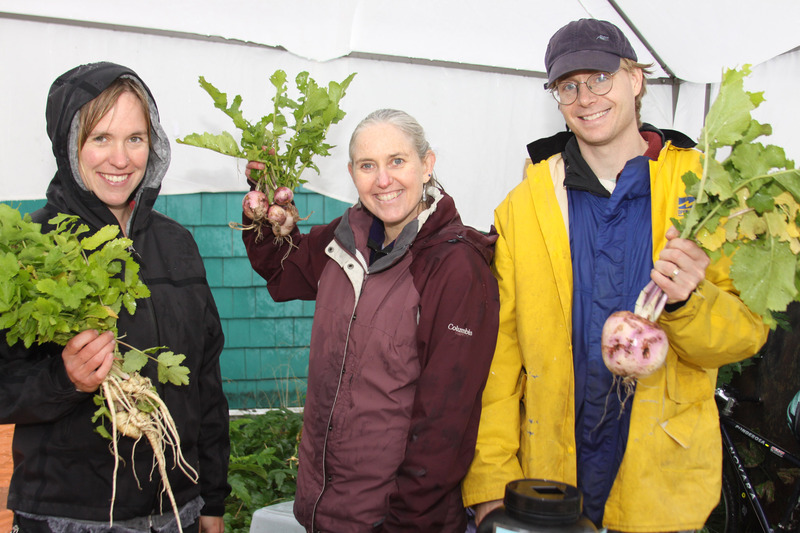 Sitka Local Foods Network board members Natalie Sattler, left, with parsnips, Lisa Sadleir-Hart, center, with turnips, and Doug Osborne, right, with turnips, show off some of the produce for sale at the final Sitka Farmers Market of 2009. As a bonus, Medicine For The People, one of the bands in Sitka for this weekend’s Homeskillet Fest 2010, will play during this Saturday’s Sitka Farmers Market. Vendor fees are just $15 per market. Due to construction in the parking lot, only indoor booth space is available this year. We are the first farmers market in Southeast Alaska to accept WIC coupons. To learn more or to sign up for a table, contact Sitka Farmers Market Co-Coordinator Linda Wilson at 747-3096 (evenings and weekends) or e-mail lawilson87@hotmail.com. Vendor rules, registration forms and other information for potential vendors can be found at http://www.sitkalocalfoodsnetwork.org/.